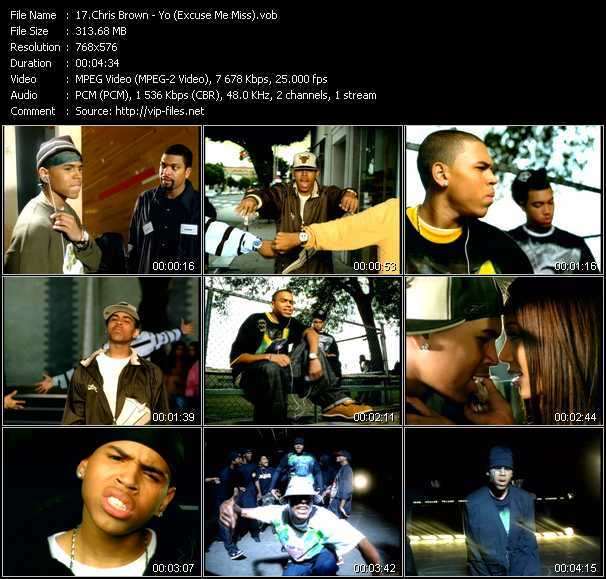 Chris Brown Feat. Juelz Santana music video Run It! Christopher Maurice "Chris" Brown (born May 5, 1989) is an American recording artist, dancer, and actor. Born in Tappahannock, Virginia, he taught himself to sing and dance at a young age and was involved in his church choir and several local talent shows. Having signed with Jive Records in 2004, Brown released his self-titled debut studio album the following year. It peaked at number two on the US Billboard 200 and was later certified double platinum by the Recording Industry Association of America (RIAA). With his first single "Run It!" 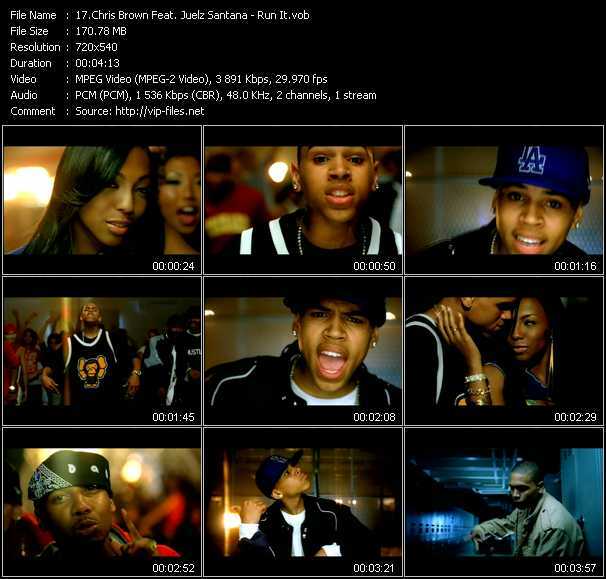 peaking atop the US Billboard Hot 100, Brown became the first male artist as a lead since Diddy in 1997 to have his debut single top the chart. His second album Exclusive (2007) spawned his second Hot 100 number one "Kiss Kiss", in addition to "With You" and "Forever". The album was also certified double platinum by the RIAA. In 2009, Brown received much media attention after pleading guilty to felony assault of singer and his then-girlfriend Rihanna; he was sentenced to five years of probation and six months of community service. His third album Graffiti was released later that year, and included the top-twenty single "I Can Transform Ya". Brown's fourth album F.A.M.E. (2011) became his first to top the Billboard 200; it spawned hit singles "Yeah 3x", "Look at Me Now", and "Beautiful People". F.A.M.E. 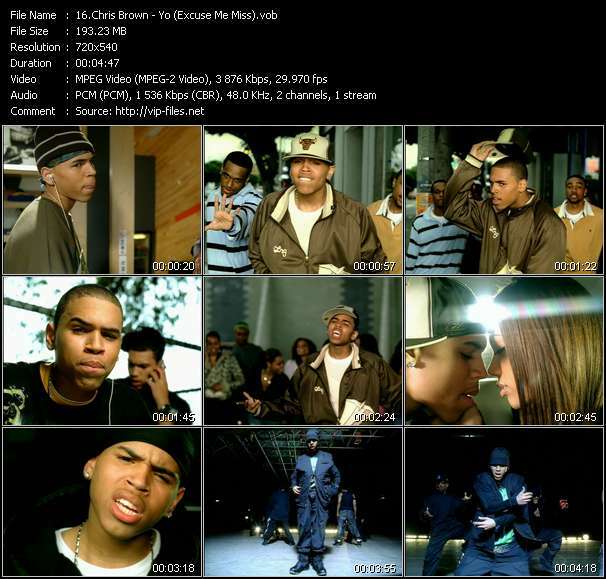 earned Brown his first Grammy Award for Best R&B Album at the 54th Grammy Awards. His fifth album Fortune was released in 2012. However, after the release of Exclusive, Brown's albums have not been well received by music critics. Apart from his work in the music industry, Brown has pursued an acting career. In 2007, he made his on-screen feature film debut in Stomp the Yard, and appeared as a guest on the television series The O.C. Other films Brown has appeared in, include This Christmas (2007), Takers (2010), Think Like a Man (2012), and Battle of the Year (2013). Throughout his career, Brown has won numerous awards, including two NAACP Image Awards, three American Music Awards and twelve BET Awards.